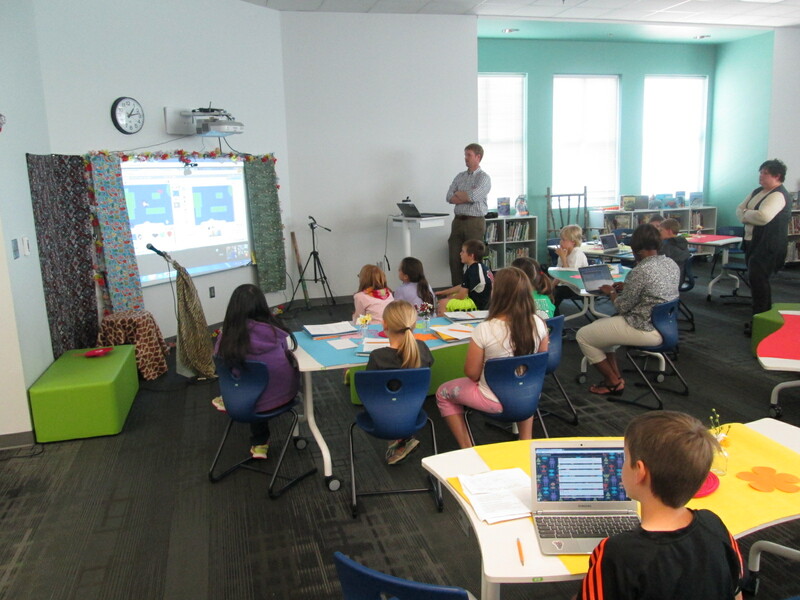 Mrs. Hicks’s 3rd grade students have been working on building Scratch programs for several weeks now. 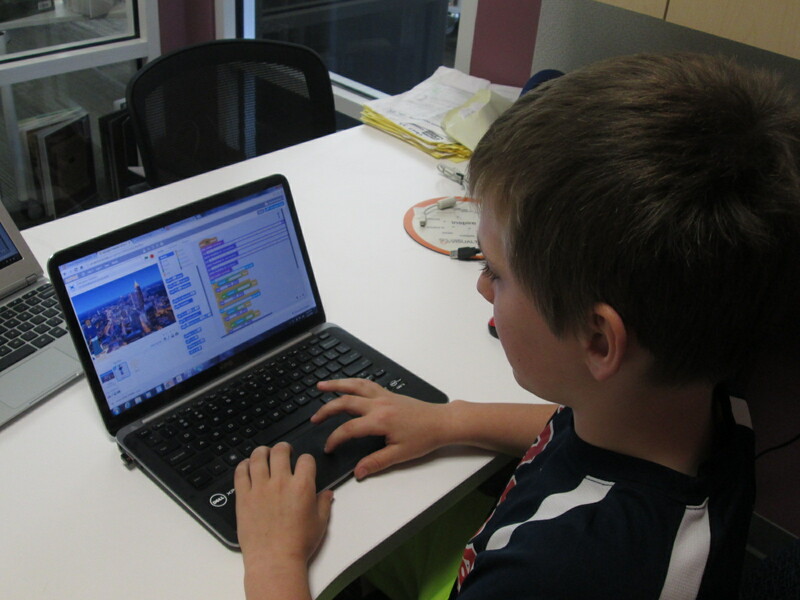 Originally, their journey was going to lead them to creating some scratch programs around a math standard or possibly environmental standards, but the project grew into so much more. 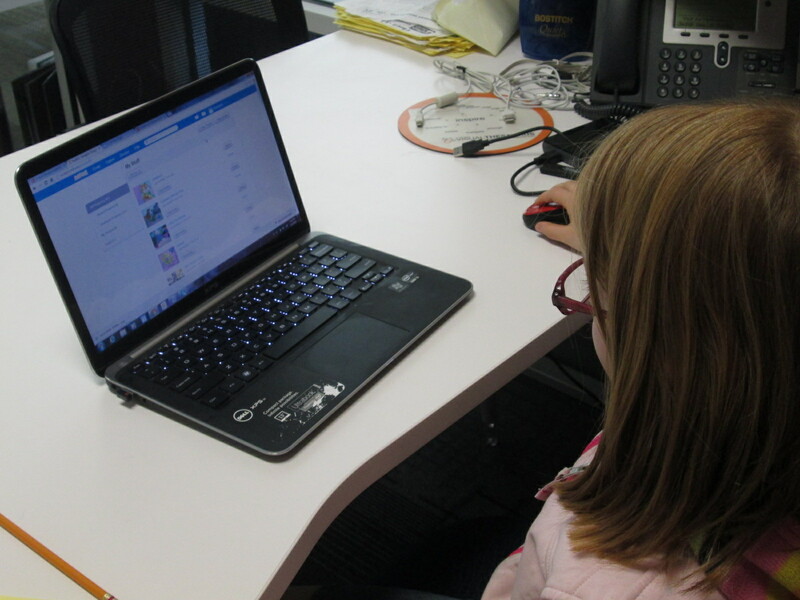 These students started out by creating their own Scratch accounts and exploring. 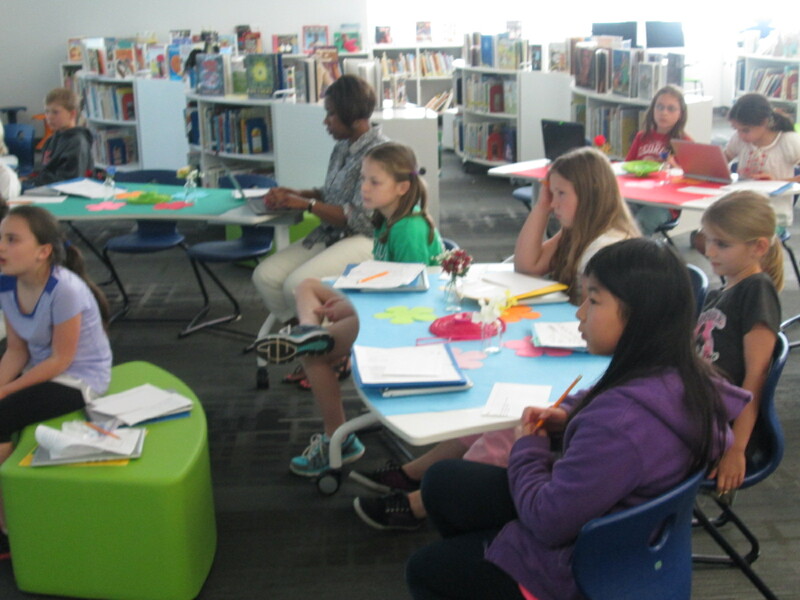 I showed them how to use the tutorial built into Scratch as well as the video tutorials from Hour of Code. From there, students got to work. It seemed that every day these students came into class, they had learned something new. 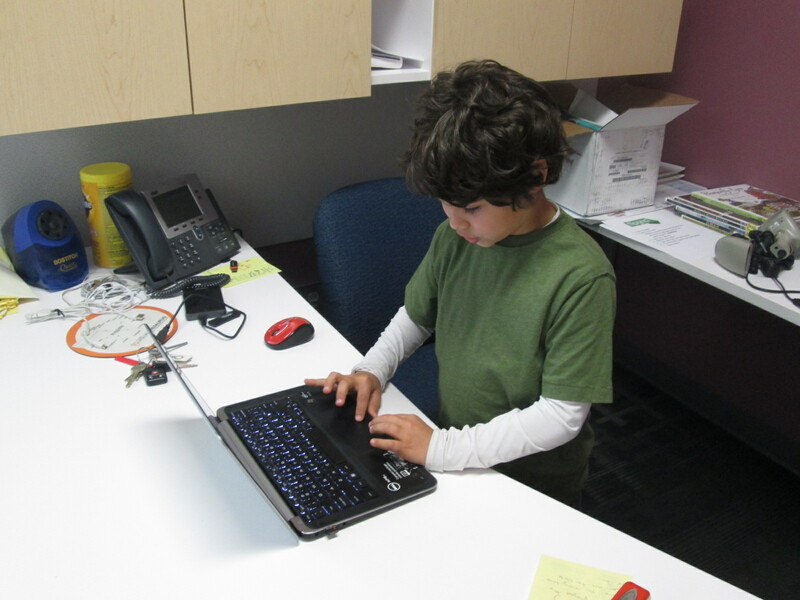 Many of them loved using Scratch so much, that they went home and continued their projects on their own. When a student learned something new, they came in and shared it with others. At the close of each lesson, Mrs. Hicks had students write reflections on a Padlet. This wall became a collective list of tips, new learning, and frustrating moments as students shared their thoughts each day. Students often went back to review their standards, used checklists, and reviewed their work with rubrics throughout the creation process. Today, several students came together to share their work in progress in a Google Hangout with Shannon Miller’s students in Van Meter, Iowa. The students were very nervous about sharing their work, but they had a lot to be proud of. Students’ projects had branched out to projects in every subject area: a multiplication program that solves multiplication problems, a social studies program about the regions of Georgia, a science program about dinosaurs, a math program about data, and more. It was truly amazing to see what these students have created in Scratch knowing that they all started on the same page. 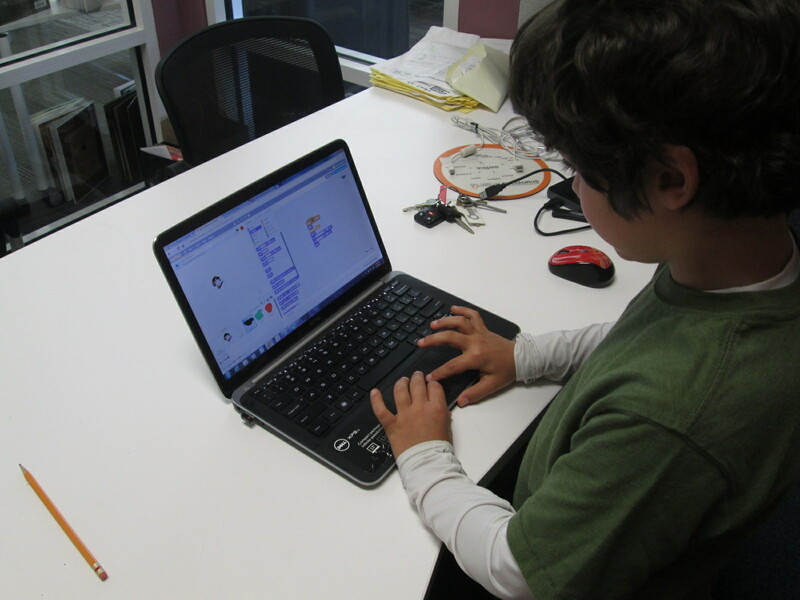 None of them were users of Scratch prior to this project. 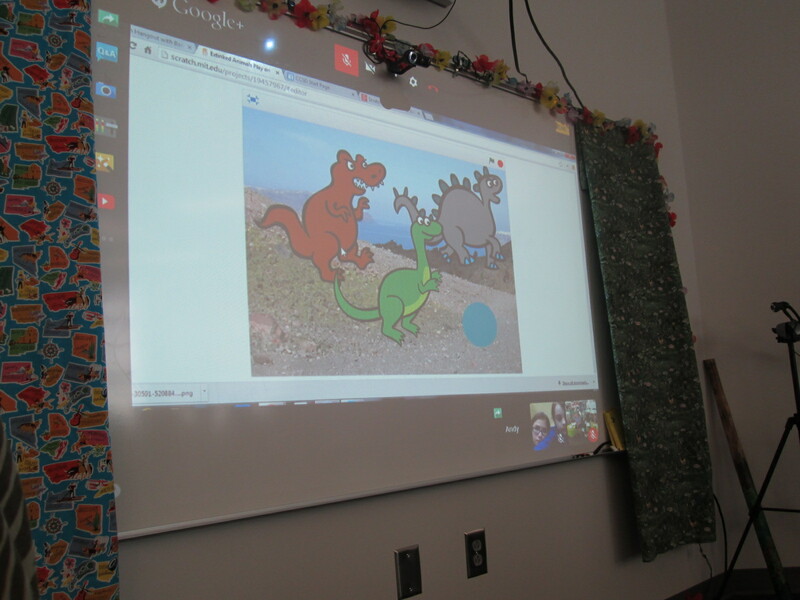 To prepare for our Google Hangout, we talked about how to present work online. This included reminders about talking through each step that you are doing rather than just clicking on things in silence. Students went into my office to present their work, while the rest of the students sat in front of the projector to watch. During the practice, students gave one another feedback on how they presented. Today’s live Google Hangout On Air had some glitches at the beginning when we couldn’t get everyone connected in the hangout, but once we got rolling, the process was smooth. 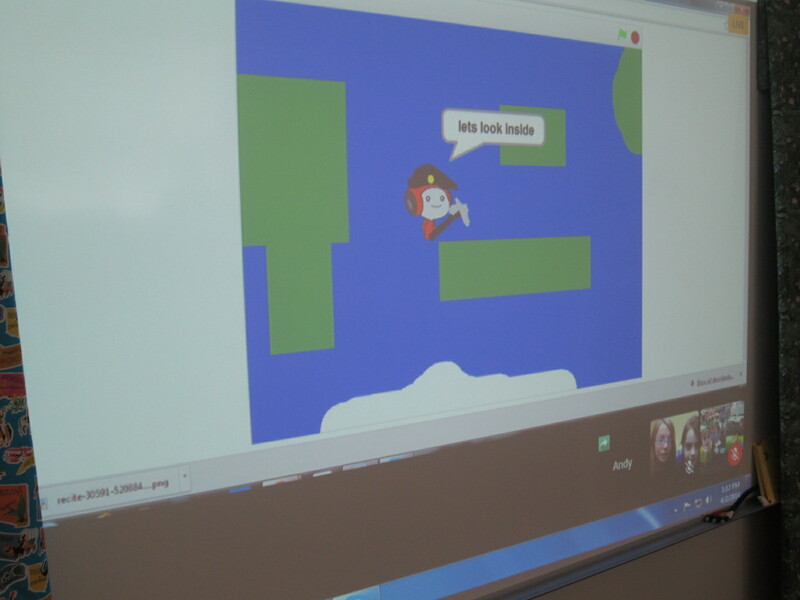 A student screenshared their Scratch project, while students at Barrow and Van Meter listened. Barrow students wrote feedback on paper to give to the presenters during tomorrow’s class. Todd Hollett, our tech integration specialist, helped facilitate the hangout at the projector while I facilitated the student presenting in my office. Van Meter’s students gave verbal feedback during and after each presentation. I think today gave our 3rd graders confidence in presenting their work online. The positive feedback from Van Meter boosted their confidence as well. Here’s a look at how our Hangout went. It’s a long video, but the projects are amazing for our 1st attempt. I was excited to hear after the hangout that the students in Van Meter have an idea for a project between Barrow students and Van Meter. I can’t wait to hear more! This entry was posted in Connected Learning, Lesson, Reflection and tagged feedback, google hangout, peer review, revision, Scratch, student reflection.